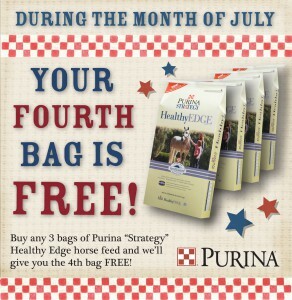 This July, Purina is celebrating with you in a big way. 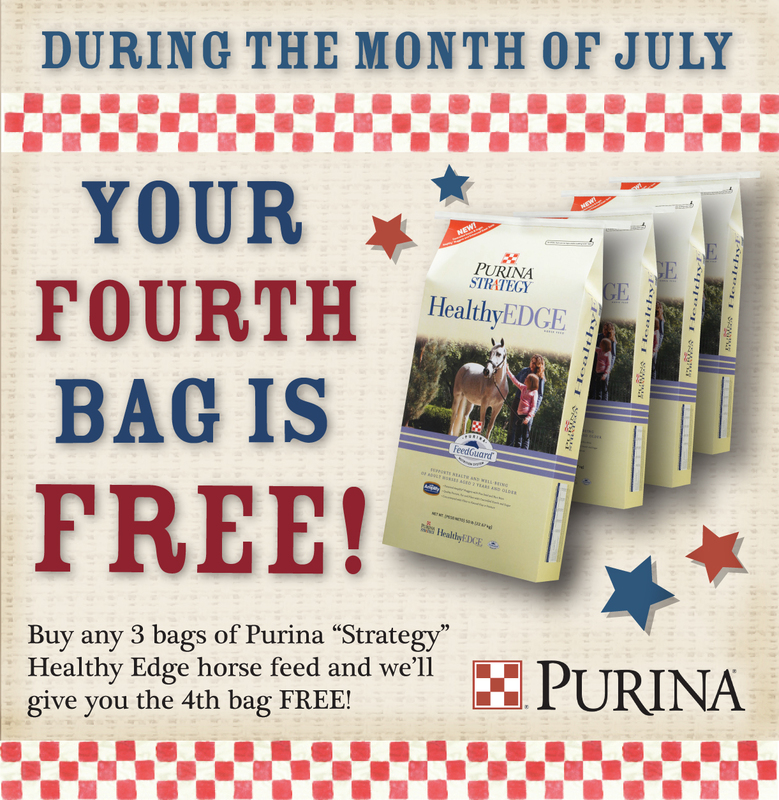 July 1 – 31, when you buy three bags of Purina Strategy Healthy Edge horse feeds, you will receive a fourth bag free, no coupon needed. This offer cannot be combined with any other coupon or offer. Offers high palatability for a taste horses love. This entry was posted on Friday, June 28th, 2013 at 3:45 pm	and is filed under Events, Horse, News & Updates. You can follow any responses to this entry through the RSS 2.0 feed. Both comments and pings are currently closed.